When Barkin’ Creek Dog Kitchen & Bath recently opened their first brick and mortar location in July 2018 in the pet-friendly and fitness-focused city of Austin, Texas their mission was to feed our four-legged friends a naturally delicious diet, allowing them to live happier, healthier and longer lives. The store, located at 2153 South Lamar Boulevard at Kinney Road serves not only signature selection of handmade healthy meals and treats, but also the most innovative and stylish home, travel, and outdoor accessories from leashes and toys to the latest pet-tech necessities. Barkin’ Creek also offers grooming services and products to make sure your dog feels and looks their best. Plus, Barkin’ Creek is a one stop resource for locals and visitors as it will also provide doggie day care in its state-of-the-art day camp with a live video feed, attentive care from the experienced, highly trained staff and lots of safe play time. 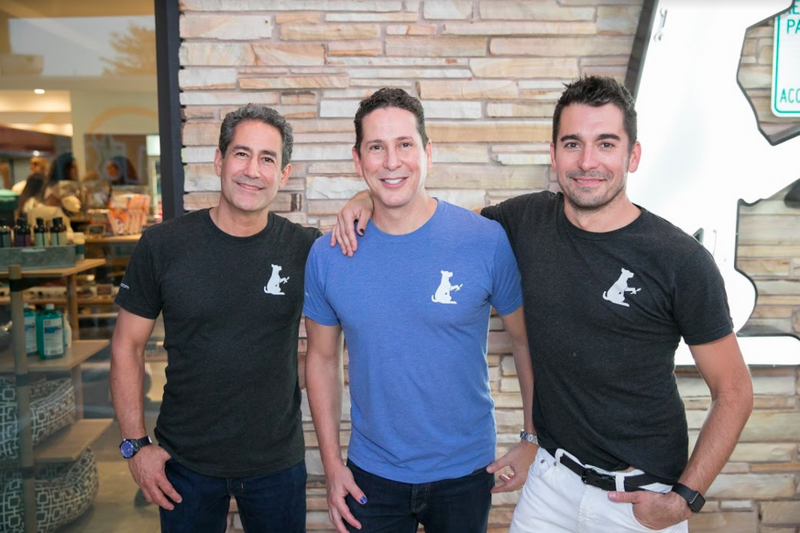 Family owned and operated, Barkin’ Creek Dog Kitchen & Bath, was created by Austinite founders Jeff Springer (Business Manager), Flint Beamon (Brand Manager) and Jay Springer (Operations Manager). As dog owners, the team was concerned over tragedies related to defective and harmful ingredients in major dog food brands. For the sake of their own pets’ health they began making their own dog food and treats. Then, they tested meals using their home kitchen and researched canine nutrition with the help of veterinarians...and Barkin’ Creek was born. For pets who have special dietary needs, daily medications or supplements to combat aging, arthritis, dermatitis or stress, veterinarians and the Barkin’ Creek team works directly with customers and their personal veterinarians to create custom meals. By adding natural supplements into a dog’s diet, dog can receive all the necessary levels of nutrients to help address problem areas without the need to administer daily medications, according to Barkin’ Creek.